About a year and a half ago, my now 21-year-old daughter went through a very difficult crisis with her faith. She struggled to even hear God’s name escape from my lips. There was so much anger and pain boiling up inside her. I honestly thought she would never find her way back. I wish I could say I consistently raised her within a church family and was a great example of a Christian woman as she grew up. Neither one of those things is true. I spent most of my life lost and confused about my own faith. It wasn’t until a few short years ago that I truly found my way to Christ. We took her to various churches in her childhood but never allowed her an opportunity to lay down roots. When we finally committed to a church about 2 years ago, she was old enough to decide if she wanted to go or not. By that point, she was over it. Done. She went to services a couple of times to appease us then refused to ever go back. While she was there, several amazing things happened. I would love to share those but that is her story to tell. I hope to have her write it here one day because it was truly the beautiful and amazing work of God. She came home with a renewed faith, one stronger than I had ever seen in her. I was blown away and so incredibly excited. She went back to church with us, and friends, let me tell you, Satan fought hard for her. The timing was crazy. She had just moved out on her own and went through a terrible break-up. Both of these events definitely rattled her new found faith. Unfortunately, she was also hurt by several people within our church. All of these things were too much on a freshly saved soul not fully trusting Christ yet. I was devastated for her. My heart broke right beside hers as I watched her slip farther away. I honestly put her on every prayer list I could find. Anyone that would listen about my concern for my baby girl heard the whole background story and was asked to pray for her. She would try to calm me with the hope He would complete all the good work He began in my sweet, lost daughter. I wasn’t buying it. I couldn’t give up on my little girl’s precious soul. A mother will fight to the end for their child and we must wholeheartedly never give up on our lost, struggling babies. It worked. My daughter is a different woman today than that sad, angry girl from just last year. She found a wonderful church family that is much better suited for her age group, personality, and current needs. At least 3 times a week, she is involved in some type of church function, even sharing her many gifts serving alongside them. A few weeks ago, she told us she wants to go to Hillsong for a 2-year worship ministry degree. We are of course overjoyed about this. I will miss her dearly but to watch her blossom as a child and servant of God is breathtaking. Her incredible musical talent and heavenly singing voice will serve Him well. If there’s anything I can pray about with you today, please let me know. My sweet friend I rejoice with you! Your daughter has a radiant smile. The light of Jesus is emanating from her. I pray she will stay safely tucked under the wings of the Almighty and she will continue to grow in wisdom and in stature, in favor with God and with men. Thank you for your sweet prayer, Tyra! It’s been a beautiful thing to watch the light appear in her eyes. She is really in a beautiful place right now :). Prayer really does work! I feel so much joy for you and your daughter and this can be so encouraging for any parent who is struggling with this issue. I have even questioned the things I did or didn’t do that may have had an impact on the way my children respond to certain things….which is guilt, and we know where that comes from. You’re right… never give up!! We have to continue on the path. Another good read, Candace!! Thanks so much, Karla! Guilt is a rough thing. I feel it far too often as well, but I agree where it comes from. It’s something I fight on an almost daily basis. It definitely eases when things are going more smoothly :). Thanks for sharing this on Twitter too, my friend! Never give up for sure. Good friends of ours had a son in a similar situation and last year, in his mid thirties, he went through a make or break crisis and found his way back. A year later he is playing with a church worship team and engaged to a lovely young lady. God is still in the business of redemption! Praising God for your beautiful daughter. LOVE this, Mindy: “God is still in the business of redemption!” Amen :)! Thanks for sharing your friend’s story. I can never get enough of these kind of testimonies. Thank you for sharing this, Candace. Such a beautiful testimony of God’s faithful love and grace. We may let go, but He never lets go! It took me a long time to accept “He never lets go.” You are so right, Trudy! This is an incredible gift :). Thank you, Sonya! It’s truly amazing the difference in her today. My faith has certainly grown right alongside of hers :). Don’t ever give up. I agree wholeheartedly. You have haven’t failed until you stop trying. That picture of your daughter and that beautiful baby is adorable. I just want to hug them both. I am glad she is finding her own path, because our own conversion can be both a lengthy process and powerful. I love that picture too, Jen! It always makes me wish I had been there with her. It was definitely a trip for her to do without me though. Your very true statement: “You haven’t failed until you stop trying” reminds me of the quote “The moment you’re ready to quit is usually the moment right before the miracle happens.” Those words have helped me push through on many occasions :). Rejoicing with you…how sweet it is to read a happy story about a young person coming TO faith vs. turning away. Thank you for sharing! My parents also never gave up praying. So thankful for that! I agree, Amy! Sadly, far too many of the stories of young people are them leaving faith instead of returning. I’m thankful your parents never gave up either :). Candace, awesome is our God. Beautiful redemption and hope. Thanks for sharing. Add Matt Mead, my older son. Having lost his younger brother 7 years ago, he no longer believes there is a God as how can God “take my brother?” He is angry-great word. Thank you for caring. And for adding his name to your prayer list. Gods already told me to praise Him for Matt’s salvation. Love it that I know God will intervene. Sure would like it on “this momma’s timeline” yet I thust HIM!! Matt is absolutely in my prayers, Susan. I’m so sorry about your tragic loss. I know it takes a long time to come to grips with such a huge trauma. Unfortunately, we often blame God for those great losses. Our way back can be long and painful. I love that you are already in your praising and thankful stage, knowing God is bringing Matt back. It will most definitely be on your “timeline” soon! I, too, love that you are already thanking God for son’s salvation! As God tells us, He will give us the desires of our heart if our desires are in alignment with His will. There are things I pray for that I question as to whether or not they are in His will. Bringing a lost child to Him is one request we know is in His will. What amazing grace He lavishes on us giving us the faith to believe our requests will be made whole. Yes He is, Emily :)! Even when we don’t fully believe it, He is still in our corner. 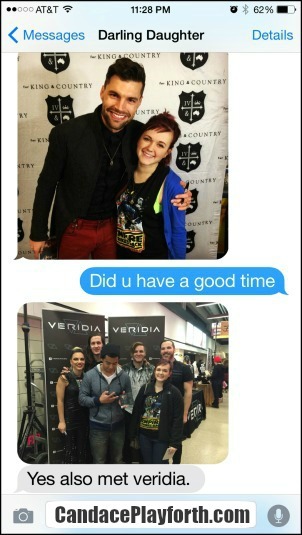 Thank you for sharing this, Ruth! I pray it will reach all the grieving parents who need a glimmer of hope. Blessings to you! Thanks. Two of our six children are ‘lost’. So this is a beautiful encouragement for me. I read it on Twitter. I’m so glad you found your way here, Jedidja! Your children are in my prayers. I know how incredibly difficult and painful the worry and concern can be. Many blessings to you and your family! I’m excited to announce she is working on writing her story to share here, Kelly. I really believe she could help so many. Unfortunately, more people her age are leaving faith rather than returning. I pray we see a shift in that very soon. I completely agree with you about this taking us “into deeper places with God.” It has been wonderful to watch my faith grow with hers. Answered prayers are a truly beautiful thing :). What an amazing testimony of Christ’s great love, mercy and grace! You are hilarious, my friend! Everybody needs a Donna in their lives. She is truly amazing ;). We love you too! Our God is a redeeming and gracious God. Thank you for sharing part of your daughter’s story of how God pursued her and she found Him. May God continue to work in and through your daughter. Love visiting you and hearing your stories of healing, faith and redemption. Love you friend! Her story is just beginning, Mary :). I’m so excited to see what He has in store for her. Thank you for your always sweet encouragement. Love you too, my friend! Oh, what a story! So glad you shared this. There is such power in seeing God’s faithfulness at work. Looking forward to hearing about what God does from here. I’m so glad you linked up this story at #ThreeWordWednesday. I’m so looking forward to His next steps with her too, Kristin :). She has a powerful testimony and an equally powerful future. 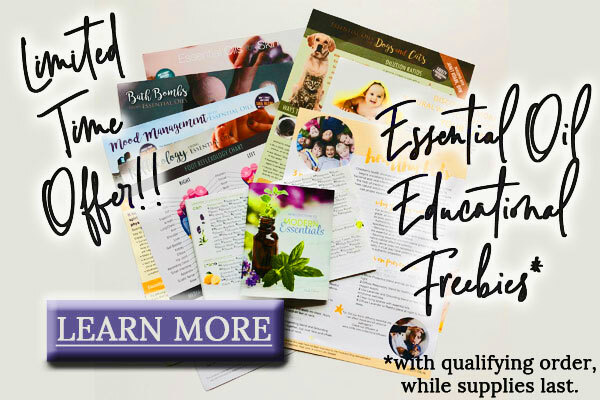 Thanks for the always inspiring linkup! That is amazing! Your story definitely renews my hope for my brother! I’m so glad to hear you have found renewed hope for your brother, Sarah! That is what sharing this personal story is all about. I will definitely pray for him too! Praise God! There is hope. Sometimes we can feel it is so hopeless, but this post so encourages our souls. Cheering you on from the Purposeful Faith #RaRalinkup in a big way! Thanks so much for the cheers, Kelly! Hopelessness is one of the worst feelings to have. It is so dark and overwhelming. The bright light in our house today is such an incredible blessing. Praise the Lord! I was thinking the same thoughts recently. My husband’s father is ill and not saved. I want my children to see that answered prayer before he dies as they will see then that God can do anything. But I need to pray more earnestly truly believing that God can save Him. Thanks for this encouragement. Praying for you father in law, Tammy! What a beautiful transformation that would be for your children to see. I completely agree with you. I’m so glad this encouraged you! My daughter is an awesome example of what God can and will do. I can completely identify with your daughter. I went through a crisis of faith when I was in my 20’s but when God called me I dove in 150%. I had a lot of emotions to wade through. I think so many people go through this in their 20’s, Jennifer. Unfortunately, my faith crisis lasted into the beginning of my 40’s :). I’m incredibly thankful my daughter, like you, dove in 150% at a much younger age. Thanks for sharing part of your story here with me! So glad to hear that your daughter found her way to home. My son is still a tween but I can relate to your daughter, because of my own story. It was a long and hard road for me and filled with anger, disapointments, hurt and lack of trust. But I found my way back and I believe it is thanks to the many prayers that were said for me and how I brought repeatedly in front of God. The prayers do work and they have immense power! I’m such a believer in prayers now too, Joanna! I had a long, hard road to my own faith. I can completely relate to you. Thanks for sharing your story with us! What a heart warming story and to hear how your prayers have worked. I still pray everyday for my family members to accept the Lord into their lives. They have noticed all the wonderful things that have happened in our lives since we surrendered our lives the way we should. I’m hoping and praying I will be able to pass along a wonderful story like your daughters. I’m praying with you, Tammy! I can’t wait to read about your family members’ journeys to faith very soon on your blog, my friend :). Keep being the example of a life surrendered. I think that has an amazing impact on others. To be directed in our own spiritual life is difficult but to watch our own children sort it out can be so tough. Thank you for sharing your encouraging story. I so agree with you, Lynn! Watching her go through this was far more difficult than my own struggles with faith. We just want so much for our children. Did you notice how many posts focused on prayer this week at the Weekend Brew? OK, God, I get the message! Yours is so inspiring and heartwarming. Thanks for sharing your heart. I love when He is trying to tell me something, Michele. Sometimes it takes me a while to listen so it comes at me from everywhere. I can completely relate :). My prayer life has been forever changed and improved from the struggles of the last couple of years! Thank you, Beth! I’m so glad this touched you. He is definitely always at work on us and those we love. Blessings to you and your family! I appreciate this post so much. My daughter had a similar journey. She became very hurt by some situations that happened in her young teen years. The people at church were not very supportive and she again felt abandoned. She left the church and traveled in some very scary and hurtful paths but all the time I covered her with prayer. It was a long 8 years and I had to really learn to take my hands off the situation but today she is back in church with a wonderful husband and doing great. God is faithful and His mercy endureth forever. So glad that your situation worked out as well !!!! Thanks for sharing from your heart !!! Thank you so much for sharing about your daughter’s journey, Rebecca! What a beautiful ending :). I know those 8 years must have been incredibly painful for you. Prayer really does pay off in amazing ways! 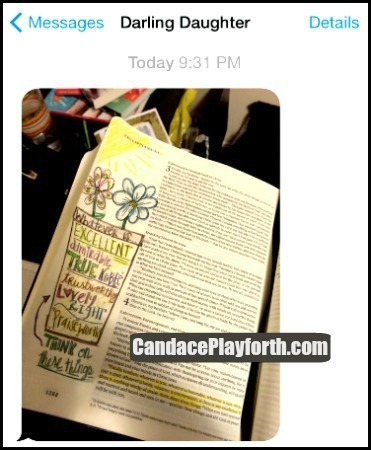 Candace, what a beautiful testimony of a mother’s deep and abiding love for her child. You didn’t give up. You pressed through with your daughter, fought for her in the hard places and look at her now. That’s so awesome she will be attending the Hillsong worship school. Thank you for sharing at The Weekend Brew! I’m really excited for her Hillsong journey, Barbie! I can’t even imagine what an amazing experience that will be. Thanks so much for your inspiring Weekend Brew :)! Delighted for her return to the Light! I went through a faith crisis, seeing things in another part of the world that made me doubt God’s goodness, mercy…and even His existence. The I realized that He hated that stuff way more than I did, and that not only did He emphatically NOT ‘allow’ it, He wanted people…like me, a paramilitary operator – to put things right. The evil was the result of a world in which free will was necessary to allow us to grow into Heaven, but he hates its effects and the pain it can engender. And then I was OK again. I can so relate to you, Andrew! When I look at the beautiful, innocent children we sponsor in Swaziland and think about their unfair circumstances, my faith is strained. I love how you explained His wants and needs for us to help in those situations. Thank you. I’m so glad to hear you found your way back and are serving in such an amazing way. Thank you, Lux! It was definitely some of the most difficult times in my life. We want to know our children will spend eternity with us. God is so faithful. I know this today more than ever. Rejoicing with you.. Praise God:)!! Your daughter is so beautiful. God bless you both! Thank you, Bomi! It’s been a long, hard road, but things are pretty wonderful right now :). Many blessings to you as well! Please pray for my lost 16 year old daughter to stay away from evil temptations,to seek God in her heart and to repent from sin. I need your prayers so much. I am a mother who can only rely on God and prayers to help my daughter and to give me strength to accept God’s will. I’m praying for your precious daughter, Lissette, and you as well! I’m so sorry for your worry and pain. Know that I have been there with my little girl and truly understand how difficult your situation is. Being a mommy can be very hard. We just love them so incredibly much. Many blessings to you both! Thank you, Thank you, for sharing your story. 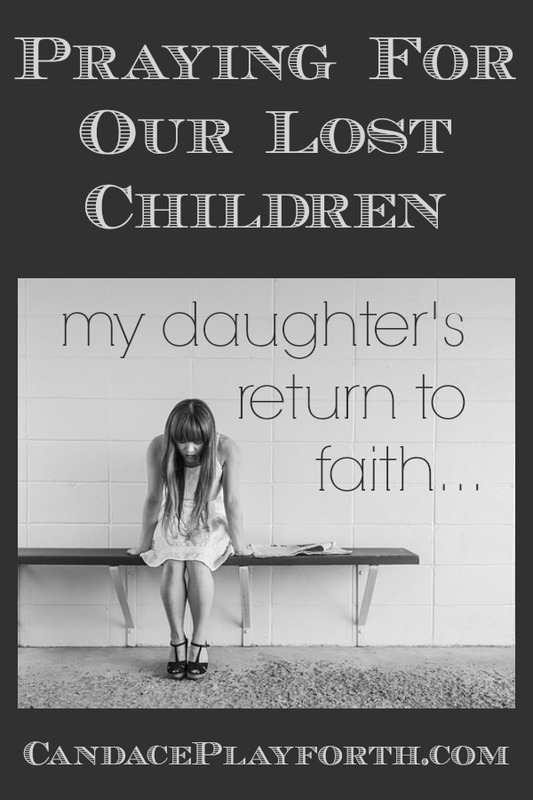 I have a daughter that has turned away from the Christian faith and has taken on a religion. A religion that does not believe in the Lord Jesus Christ as Lord and Savior. She also believes that we are worshiping the same God. My daughter was raised in church. She waited two years to tell me this because her fear was that I would disown her. I knew to turn away would be the worst thing for me to do. This has encouraged me in my pain and hurt to love her even more. Please pray for my daughter Jasmine. That her eyes be open and the veil be removed from her eyes that she may see and know Jesus Christ is Lord. He was just not a mere man. That my daughter would know Jesus Christ and Him as Lord. I’ll definitely be praying for Jasmine, Stephanie. Thank you for sharing your story here. It really is a lifetime task to pray for our kids’ faith and souls. My daughter’s journey is far from over and we certainly continue to hit many bumps in the road along the way. Much love to you and your precious daughter. I have no doubt with a loving mom like you in her corner she will find her way back to Jesus. Thankfully, as we both know, He will be waiting with open arms. I’m praying for you all, Heather. I hope your counseling session went well. It can be so hard to watch our children make decisions we are unsure of. If it makes you feel any better, let me share with you I’m a recovering addict, 20 years sober, so there is hope there. I can so relate to your worries though. Much love to you, your precious daughter and her boyfriend as you all work through this.